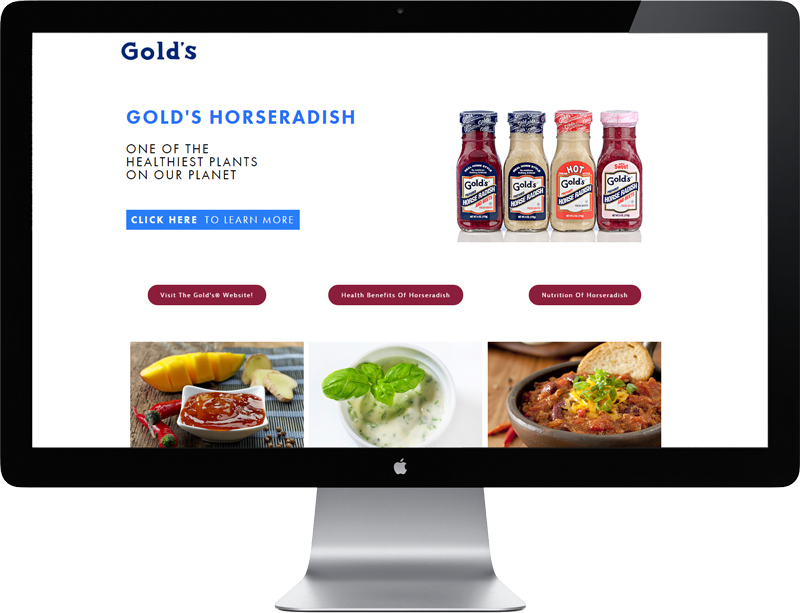 On the heels of some groundbreaking research showing Horseradish as the most anti-oxidant rich and healthiest plant around, we created an integrated campaign for Gold’s that tied together radio as well as a dedicated online landing page featuring healthy recipes as well as facts about the health benefits of horseradish. 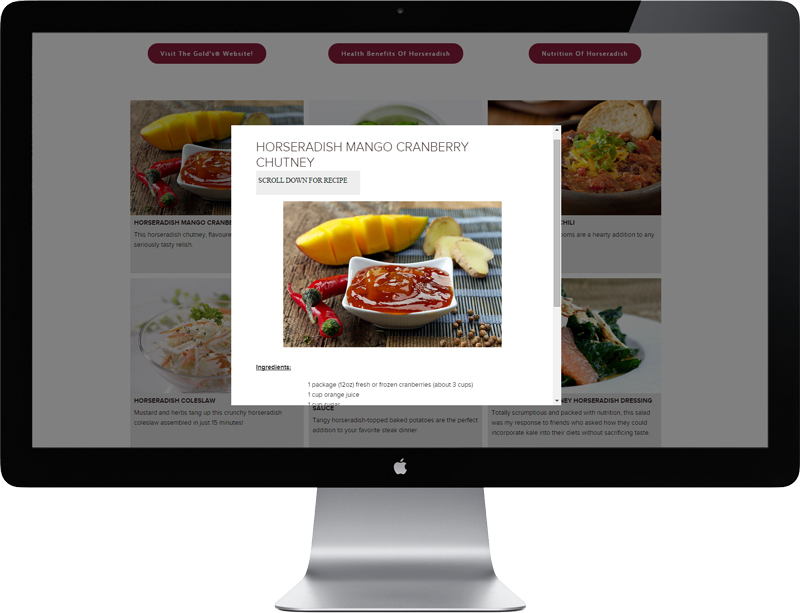 The radio spots featured 2 calls to action, 1 aimed at driving sales and the other aimed at driving clicks to the site. This campaign was extremely successful at working to both reinforce the strong branding that we’ve created for Gold’s as well as to gain a new “health-conscious” customer base.